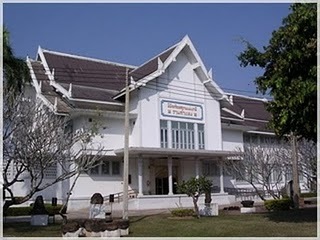 The museum exhibits artifacts and antiques found during a series of excavations in Sukhothai Historical Park and Sri Satchanalai Historical Park in 1960s. Highlights of the museum are the Sukhothai-style Buddha images, regarded the most beautiful Buddhist image-style in the Thai history. Also, the exhibitions also display Chinese porcelain and precious artifacts that show to prosperity of Sukhothai during its heydays. Open daily from 9.00 a.m. to 16.00 p.m.